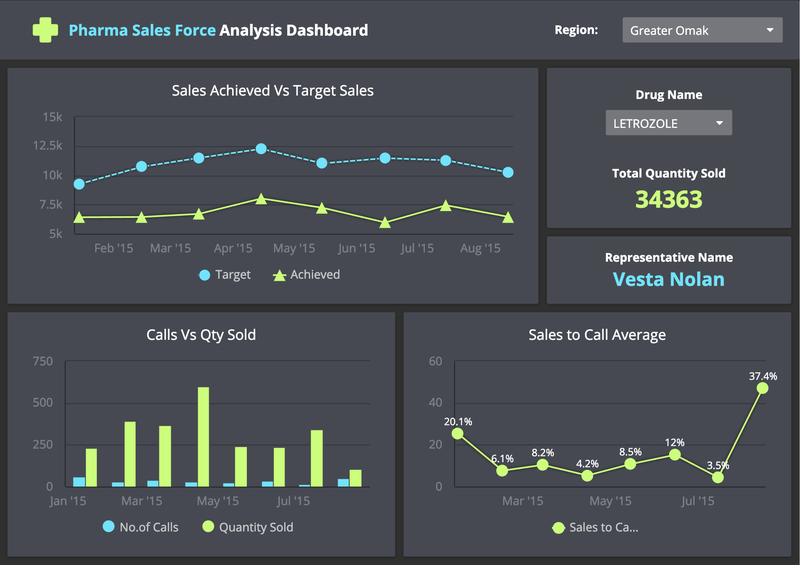 With ClicData, you can create your dashboards from scratch, with your own color palette and brand look and feel. But you can also save yourself some time using our several available dashboard examples. Browse our list of dashboard designs, upload your data and you're good to go! These templates will help you track your e-commerce website or stores' revenue and performance per region, product or acquisition channels. Learn more about your customers behaviors. Whether you're running a private practice or a department in a hospital, these dashboards templates can help you. Track no-show rate, patients' satisfaction, time spent per consultation, etc. Get more precise data on your school or university performance: the number or rate of graduate students, the number of applications received each year, the rate of accepted students and others. Track your key financial indicators in our dashboard templates. Combine your sales, marketing, supply and billing data into one self-refreshing report. Follow your marketing KPIs: online campaign, website traffic, social media performance. All your data is here, fresh and ready to be shared with stakeholders. These dashboards help you track the time and resources you spend on each project. Learn more about your project management process and increase your efficiency. Know exactly where you are in your recruiting process, optimize your teams' productivity by tracking the right KPIs. You can also connect your Time Tracking applications like TSheets by Quickbook. Find other dashboard examples such as our "Fitness Gym", "Energy Production", or "Call Center" real-time dashboards that you can share on a large screen. ClicData makes your life a bit easier while you're traveling with our mobile app: your KPIs are always right here with you, whenever and wherever you need them. Our dashboards are also used to visualize and illustrate funny facts or data. Here's a selection of our funny, educative, playful dashboards - Have fun!